There’s a reason why this sheet set is a number one bestseller in its category and why it gets our pick for best overall. Customers love the softness of the material and quality of the product. Plus, it doesn’t hurt that the price is very reasonable. Made of 100 percent polyester, the microfiber sheets have a silky luxurious feel to them and are resistant to fades, stains, shrinking and wrinkles. To wash, simply pop them in the machine in cold water and tumble dry low. They’re durable and hypoallergenic. Plus they come in tons of fun colors including blue, pink, yellow and black. Customers love the feeling of the sheets, praising how comfy they are to sleep in. Some had issues with quality control — some tears, fabric pilling, or seams not lining up. However, the manufacturer offers a lifetime guarantee which lets you receive a 100 percent money-back refund with no questions asked if you’re not satisfied with them at any time. If you like the feeling of luxury when you get into bed, the Luxe Core Sheet Set from Brooklinen is right up your alley. 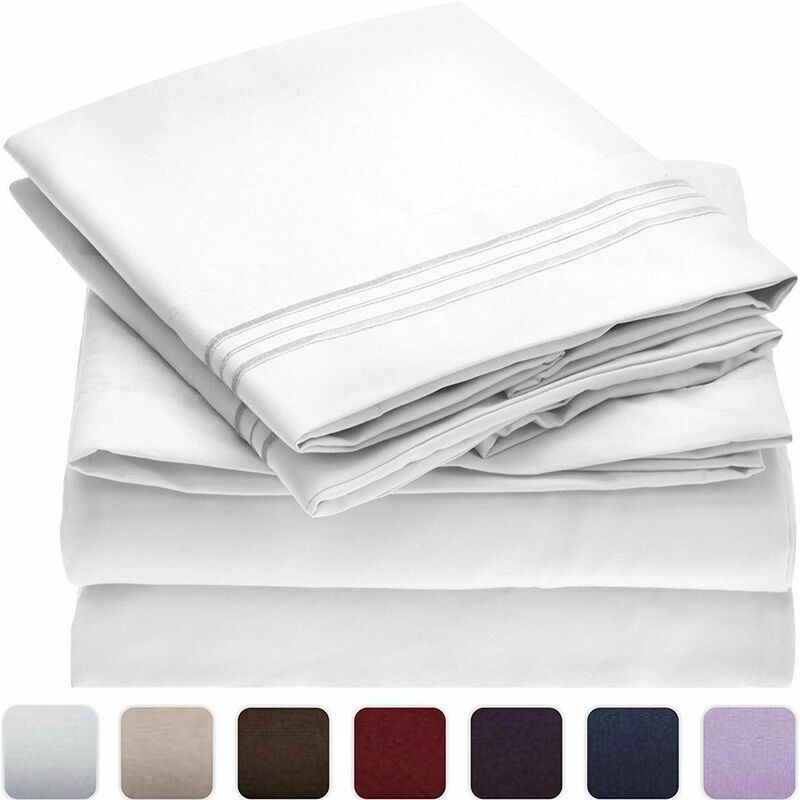 Made of 480-thread count sateen these sheets have some weight to them giving you a comfortable and cozy night's sleep. A sateen weave is made of 100% cotton and it has a nice "satin" type sheen giving it that luxurious look. It's more tightly woven than percale so it has a heavier feel so it's often not the best choice for hot sleepers. While the price is higher than others on the list you'll get a lifetime guarantee which means Brooklinen will offer you a refund if you feel they have not held up as long as they should. Reviewers love the feel of these and note they wash well and give a cool feeling when they slip between the sheets. Chose between 12 different colors and patterns for the right fit for your bedroom. Sometimes a set of solid sheets just won't do and that is when the Threshold Performance Sheet set comes into play. These sheets are Target's best seller and they come in 15 fun patterns from subtle to bold. They are made of 100% cotton with a Sateen construction so they have a smooth breathable feel. They are also Standard 100 by OEKO-TEX certified which means all materials are tested for harmful levels of 300 different substances. Reviewers call these the best sheets they have ever purchased and continue to buy new sets when new patterns come out. Not only will you be getting a better night’s sleep because of the comfort of this sheet set, but you’ll also be able to rest assured knowing that it was produced in an eco-friendly fashion. The Magnolia Organics sheets are made from 100 percent organic cotton, and, according to the company, they are responsibly and ethically made as well. The 300 thread count sateen sheets come in an assortment of earthy colors including natural, oak, gray, and blue. The set features one top sheet, one fitted sheet, and two standard pillowcases. Customers have raved about the strength and durability of the sheets, with some saying they were still going after several years. Others have praised the softness—although some have said they weren’t quite soft enough for their liking. There have also been lots of compliments about the colors being even richer in person than they appear in the photos online. Another pro is that they’ll also fit a thick mattress. Interested in reading more reviews? Take a look at our selection of the best organic sheets. Want a sheet set that mimics the feeling of your most comfortable t-shirt? Jersey material is perfect for that. This set is made of modal (a type of rayon) and cotton to give you that worn in but comfortable feel. The fitted sheet will fit mattresses up to 15" so anyone with a deep bed should look elsewhere. This set comes in six soothing colors to help you relax when it's lights out time. Reviewers love the soft feel but some note if you are a hot sleeper these might not be the best fit for your needs. If you want the ultimate sheet experience you must try the linens from the Italian brand Sferra. The company has been producing luxurious lines since 1891 with no signs of slowing down. These sheets not only feel soft to the touch out of the package they get better with time and last for many years. The Grand Hotel Collection is one of their most popular styles with its satin stitching and classic style. This set comes in 11 different colorways to complement your bedroom. Go for bold with the red hue or subdued white — all we know is these are sure to be your most favorite sheets in your linen closet, so you might want to buy a few sets if you ever see them on sale. Reviewers rave that these feel silky and luxurious with many boasting that they can fit up to a 21" mattress. Sometimes you just want a set of sheets that don't wrinkle and look neat and crisp on your bed without hours of ironing. This microfiber set does just that while still feel soft against your skin. Besides being comfortable these sheets last a lot longer than their cotton counterparts so you won't have to replace them after a year of heavy wear and tear. Available in 16 different colors ranging from basic white to bolder red these sheets come at such a great price why not try a few different colors for your room. They also work on beds ranging from a twin to California King, plus they have deep pockets so they'll work on mattresses 16" thick. For those who sleep hot, you might want to look for an all cotton or bamboo option since microfiber can run warm. Want to take a look at some other options? See our guide to the best wrinkle-free sheets. Are cool crisp sheets your thing? Then you'll want to buy a set of percale sheets that are made of 100% cotton and have a looser weave helping keep you cool at night. Percale sheets have a tendency to be a little rougher out of the package but as time goes on they get softer and resist pilling like some microfiber counterparts. The Company Store is one of the top names when it comes to bed linens and their Percale Collection does not disappoint. With 20 color choices, you'll get your pick in the right shade for your room (or you can mix and match). They're constructed of a 210 thread count leaving you with that crisp feeling you crave when you slip into your bed for a slumber. The cold months are the perfect time for a flannel sheet set, which will help you stay extra warm in bed. One of the biggest concerns about this material though is that it’s going to be scratchy. That’s why you’re going to want to find the softest set you can, and the 100 percent cotton flannel on this set from Garnet Hill that has a soft and breathable weave. These pure cotton sheets are made in Portugal that is brushed on both sides making either side fo the sheets feel soft to the touch. Due to the napped finish, these will pill but this will diminish over time. The 13 hues ranging from a cheery orange to a subtle almond will bring freshness to any space in the colder months. Reviewer's rejoiced about the softness and quality of these sheets. Plus, you can also get these monogrammed making them a great option for a dorm room or a wedding gift. Interested in reading more reviews? Take a look at our selection of the best flannel sheets. Our reviewers spent 800 hours testing five of the most popular sheet sets available. To ensure the most thorough feedback possible, we asked our testers to consider the most important features when using these sheet sets — from their material to how they held up in the wash — and we've outlined them here so that you, too, know what to look for when shopping. Thread count Forget everything you’ve heard — a higher thread count isn’t necessarily better, because manufacturing processes can increase thread count without improving quality. Generally, though, the sweet spot is between 200 and 400. These sheets will be the smoothest, softest, and most breathable. Jersey cotton won’t have a thread count, because the material is knitted, not woven. Material The best choice is generally 100 percent cotton. It’s breathable, soft, and affordable. If you’re willing to pay a premium, sheets made of organic cotton, Egyptian cotton, or Pima are the highest quality. The cheapest options are synthetic and synthetic/cotton blends, though you’ll sacrifice softness and breathability. Only opt for flannel and linen if you’re purchasing a spare set of sheets — they’re generally too warm or too light for everyday use. Weave If you prefer supremely soft sheets, opt for sateen, which is made with a more complicated weave. 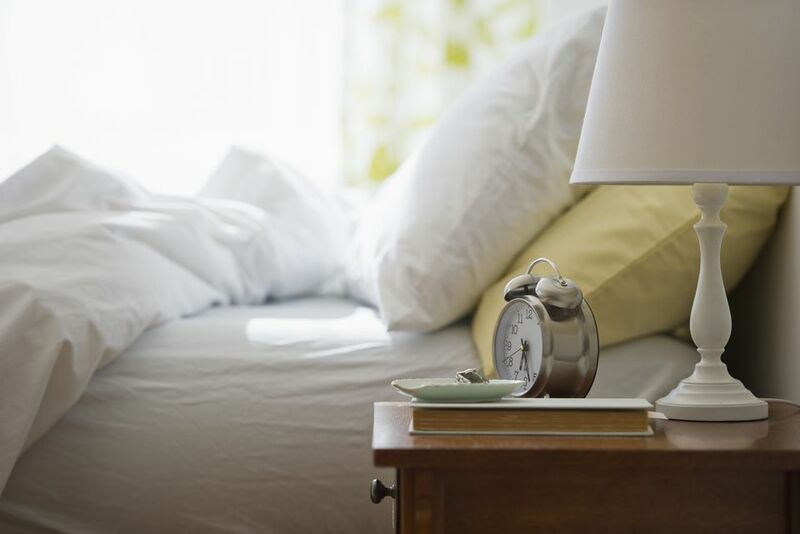 If you like light and crisp sheets, choose percale — a basic and durable grid-like cotton weave. One of our reviewers loved that these sheets were soft and held up well in the wash: “Crawling into bed every night, they felt like a cozy cocoon,” she noted. “They're definitely silkier than the percale sheets I had before — plus I washed them once and found that they didn’t pill or wrinkle.” However, even though our reviewers loved the available designs, they wished there were more color and pattern options. A few Brooklinen reviewers also reported that these sheets felt scratchy at first. These sheets were a great overall value, according to our testers. One reviewer also loved their design: “This set’s blue diamond pattern is tasteful and, at first glance, they look a lot more expensive than their price point.” Their fit was another plus: “These sheets fit well on my double bed with deep pockets in the corners,” noted one tester. In terms of negatives, one of our reviewers felt they were too thick: “I would frequently get too warm in the middle of the night,” she said. These sheets came highly recommended by our testers. “They were very soft and comfortable to sleep on,” reported one reviewer, “and their quality was very good.” Although our testers didn’t think these sheets had any downsides, some online reviewers reported that they felt scratchy and that they wrinkled in the wash.